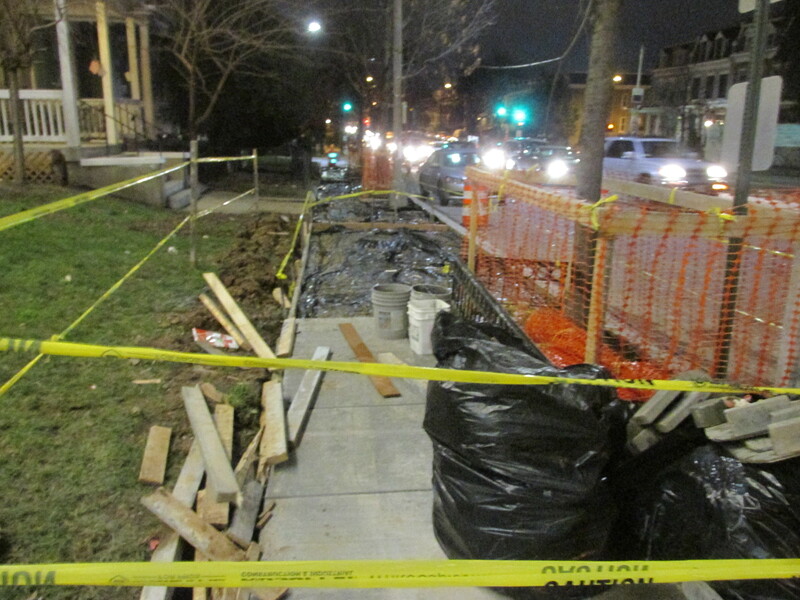 New Hampshire Sidewalk Replacement Progressing Well | Park View, D.C. 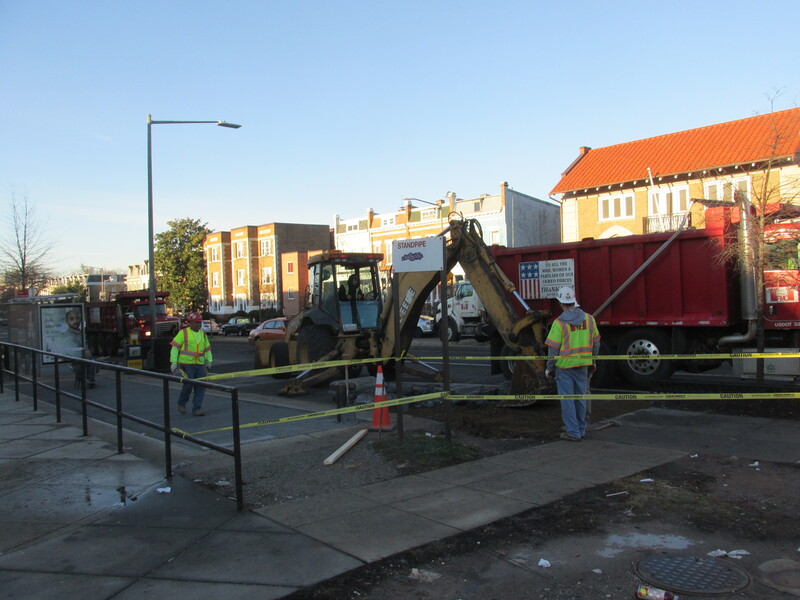 The repair of the sidewalk on the southeast side of New Hampshire Avenue from Georgia to Princeton is moving along. Work began at the beginning of February and much progress has been made this week. 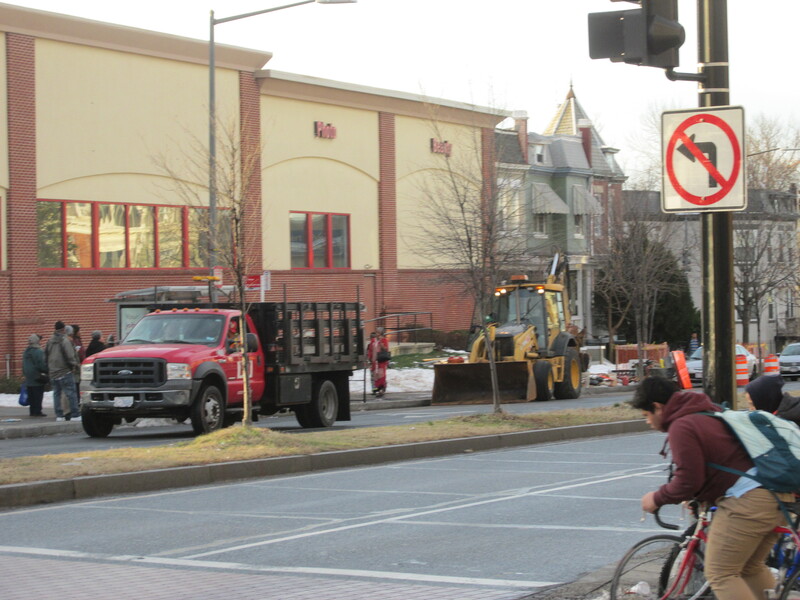 After I alerted officials a year ago about a serious rat infestation under the sidewalk, and advocated for its repair, I introduced a resolution in January 2016 that was supported by ANC1A requesting DDOT take action. The repairs were originally scheduled to begin at the end of January, but were delayed due to the blizzard. 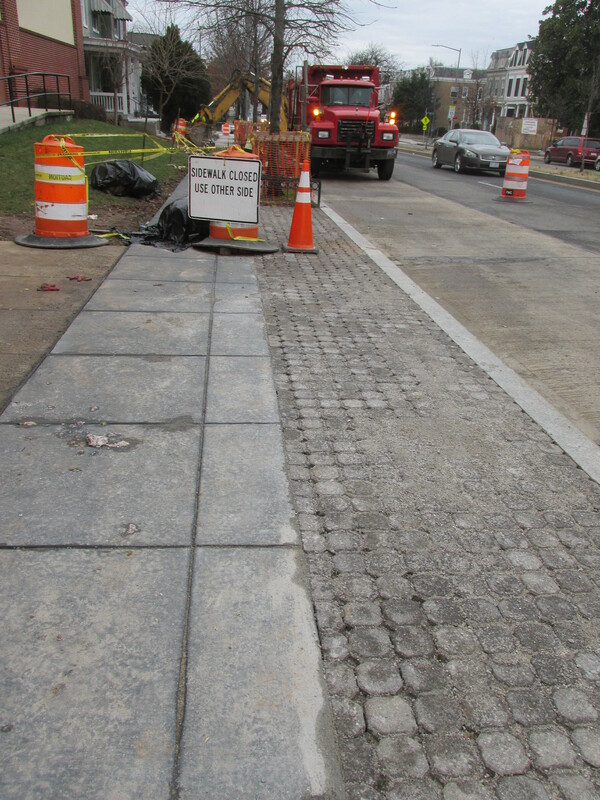 In addition to the pavers, DDOT has undertaken the replacement of nearly all of the sidewalk along the block as well. Below are photos taken at various times this week showing progress. This entry was posted on February 5, 2016 at 7:01 am and is filed under Restoration repair and maintenance, Streets and Trees, streetscape. You can subscribe via RSS 2.0 feed to this post's comments.